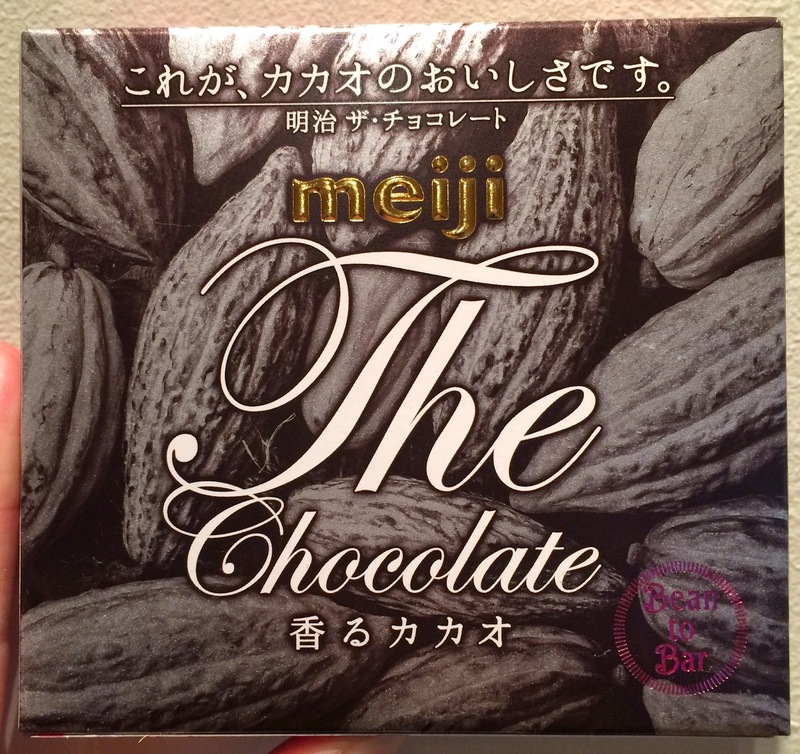 Meiji launched 2 new chocolates called "The Chocolate" on September 24, 2014. These chocolates are made with carefully picked cacao beans and conducted various processes by sheer persistence. One of them is "Meiji The Chocolate Aromatic Cacao." This uses cacao beans which are produced with agroforestry technique from Tomé-Açu, Brazil, and the cacao has characteristic sour flavor. The roasting method is unique, and low-heat and lightly roasted beans provide fragrant scent and fruity taste. Agroforestry is a combined word of agriculture and forestry, and the idea is that they grow trees and crops/farm goods at the same time to keep the land covered with greens always, and this enables to produce goods continuously though the former way could only do monocropping. This is also expected to maintain life's diversity and to help reduce CO2. 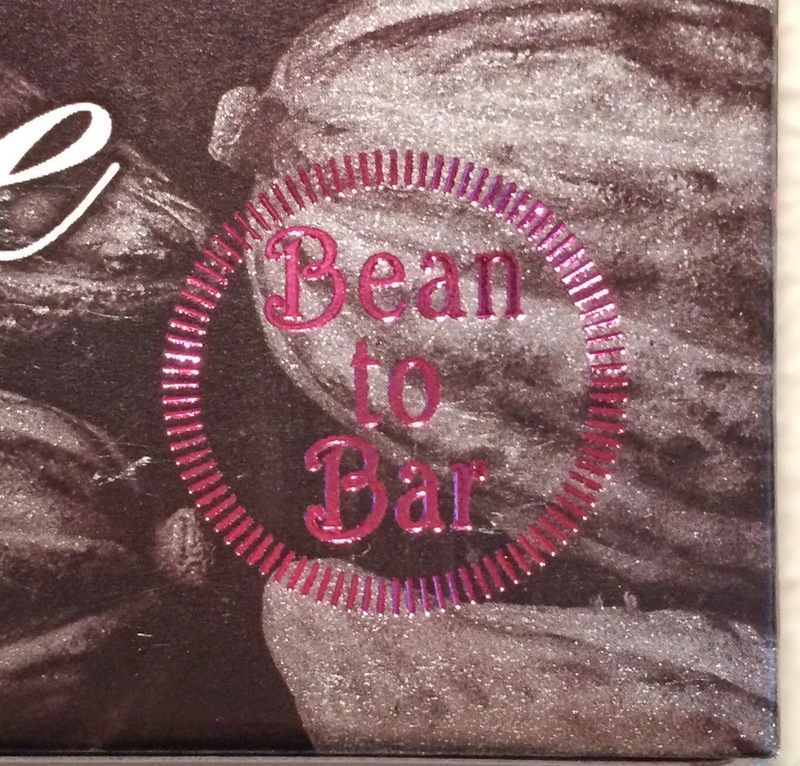 On the right bottom, there's an emboss "Bean to Bar." Details to be explained later. All the 4 sides of the box had the same word in pink; The chocolate. 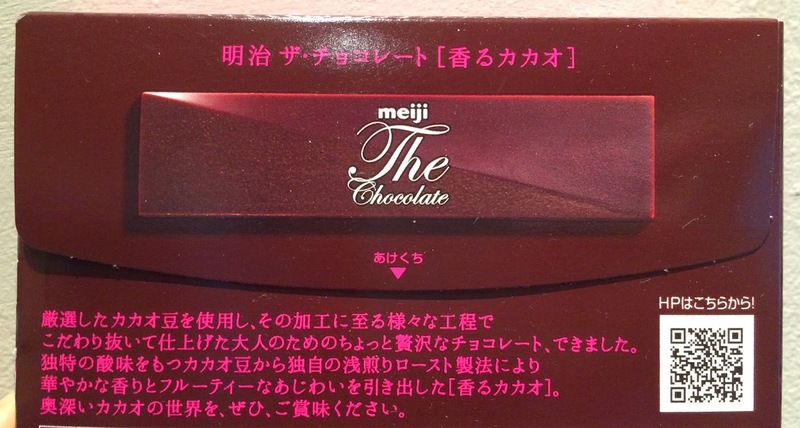 On the back, upper side says "Meiji The Chocolate 【Aromatic Cacao】"
Just below the "open" tab, there're explanations about the cacao beans chosen with care, roasting process, fragrant scent and fruity flavor. In side of the package was bright pink. "Bean to Bar" means the persistence of multiple procedures from cacao beans to chocolate. 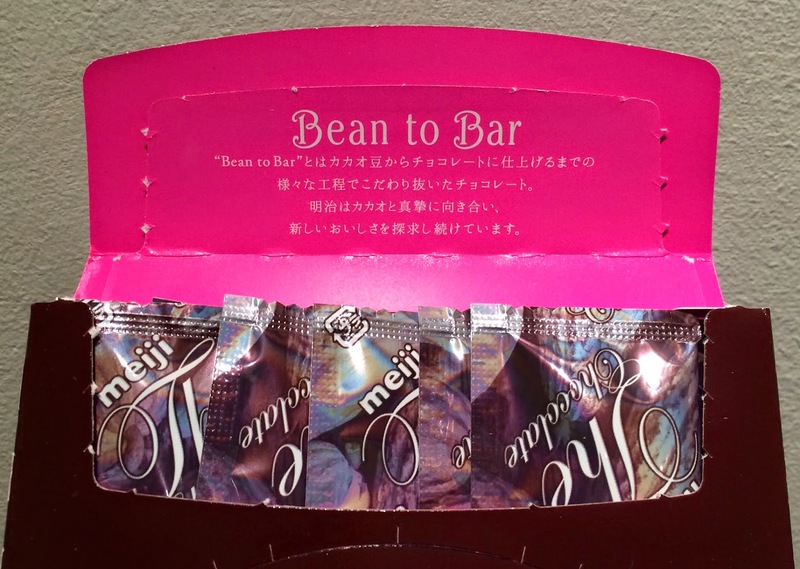 Meiji sincerely work through cacao and continue to strive after new tastiness. There're 7 silver individual packages. 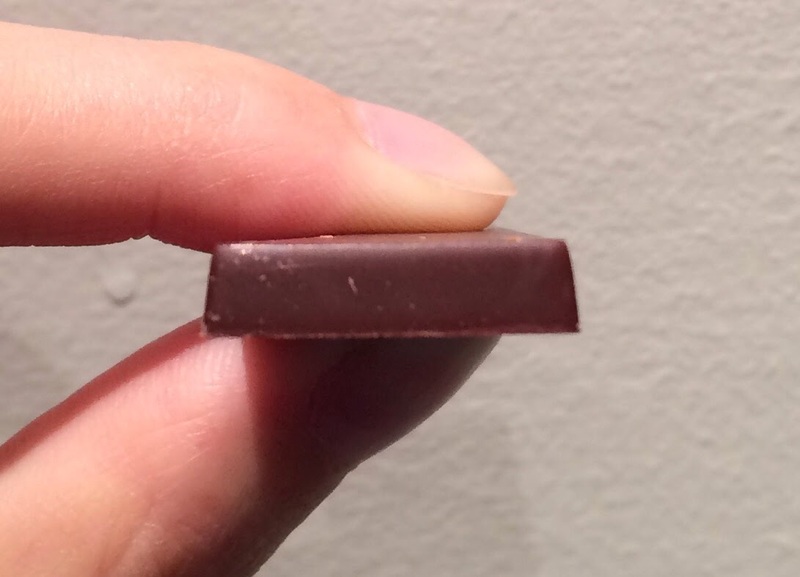 The chocolate was rectangle and the surface was half matte and half shiny from a corner to a corner. 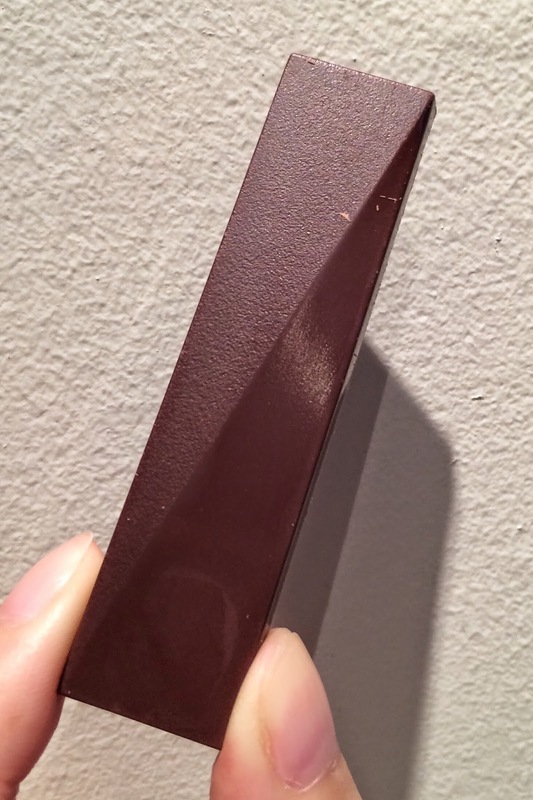 The length, width and the height was about 8cm (3 inch) x 1.5cm (0.6 inch) x 3mm. It's got dark chocolate color, but somehow I didn't think it's that bitter but flavorful. It melted slowly and the texture was so velvety and smooth. I didn't think it's fruity but this chocolate was different from regular chocolate bars by the flavor-wise. If you're a big fan of milk chocolate, it might be too bitter but still enjoyable.